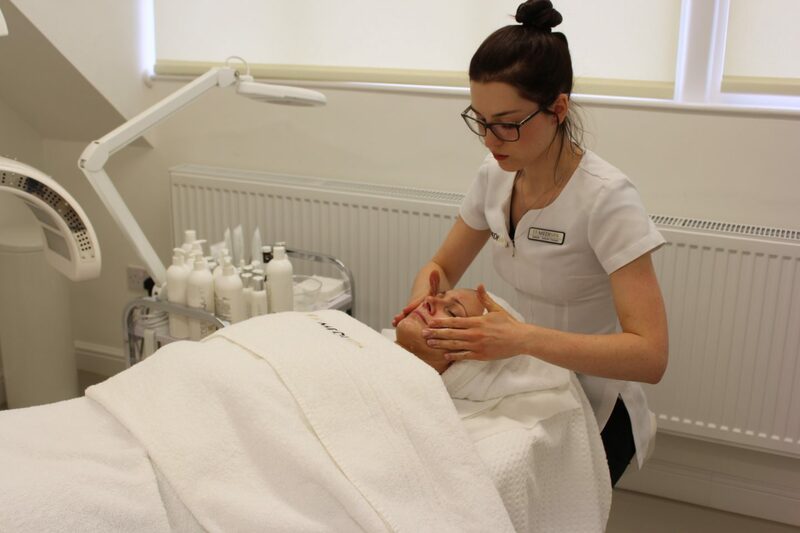 I was lucky enough to be invited along to EF Medispa in Bristol for a few treatments. I chose to have facial and lip fillers. I have recently been suffering with breakouts and wanted to try a facial where really active ingredients were used. Also this isn’t the first time that I have had lip fillers. It however has been over three years since I have had any and looking back at old pictures made me miss my fuller pout. I understand how people have varying opinions on Lip Fillers. My opinion is that as long as informed decisions are made than why the hell not! A Hyaluronic acid gel (which naturally occurs in the body) is injected into the lips. This treatment is semi permanent, for me typically lasting around 4 months (obviously this is different for everyone). 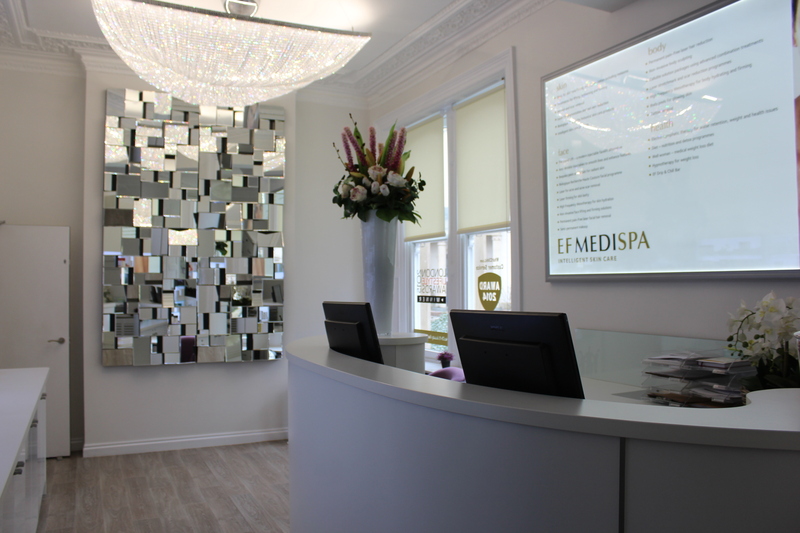 EF Medispa is an elegant and extremely welcoming clinic. What was a little different in my experience was that I had the chance to sit and discuss my procedures before meeting the therapists. It meant I could ask all the questions I wanted and I was given so much information. I really loved this and I thought that it was great to be done with a separate person to who was doing my treatments. Sometimes it might feel like you cant change your mind when having these, often daunting procedures and I felt that this system of chatting it over first would have given me that option if I was unsure. I had my facial first. The facials are all bespoke to your individual needs on that particular day. My main concerns are my breakouts and that my skin isn’t very radiant. These were the aspects that were focused on. Retinal was applied as part of the facial and my skin feels so plump and soft now. I really think that having facials, or whatever you feel to be a treat, is so important. Making time for yourself and enjoying these luxuries can make a massive difference. Even a difference to how you parent. If I didn’t take regular little ‘me time’ moments I don’t think I would stay sane with my boys. Time to recharge and then go back to being the best mother you can be. I am really happy with the results and had such an incredible experience at EF Medispa I would definitely recommend the clinic. I have noticed a massive improvement in the look and feel of my skin over the last few days and my lips are healing nicely. *Both treatments were kindly gifted to me for review. As always my opinion and words are all my own.